A Blog in wild growth. Part 3 in a series on efficient scientific Python, concerning how to implement an evolution model efficiently. I explore different ways to make object-oriented code faster (Cython and wrapped C++ code), and show how to solve the problem in a Pythonic way. Part 2 in a series on efficient scientific Python. In this example, I present some ways to make loops over arrays efficient in Python, using Cython, Numba, and NumPy. Part 1 in a series on efficient scientific Python. In this example, we will explore how to read messy data files with regular expressions, and how to save them in a more appropriate binary format (HDF5). In the wake of the recent terror attacks in Western Europe (Jan 2015 and Nov 2015 in Paris; Mar 2016 in Brussels), I started observing the dynamics of the European society’s reaction to events of this kind. I find it remarkable how impactful these events seem on both the general public, including political decisions, the rise and fall of political parties, and mass-media coverage, and people in my personal social circles. One of the oldest, most important emotions in the whole animal kingdom seems to be the prime reason behind the vehement, sometimes even violent, reactions: fear. 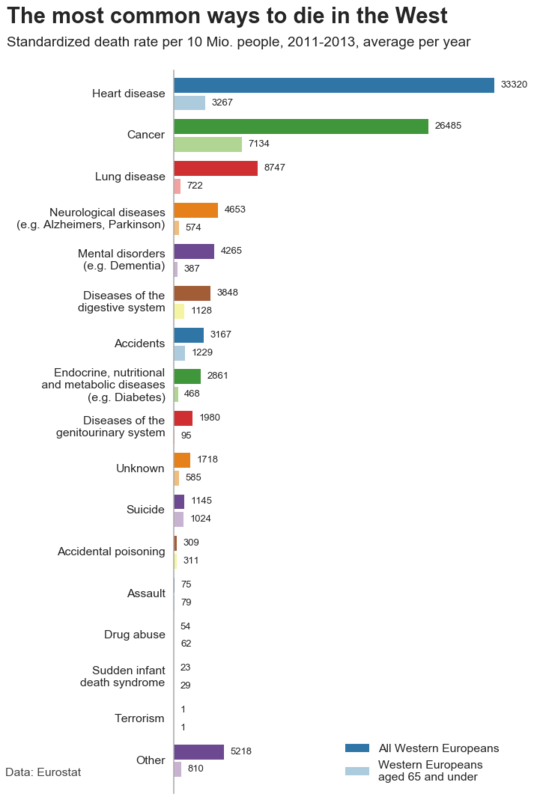 In this blog post, I will examine where this fear comes from and why it is absolutely understandable - but most importantly, I will show my reasoning as to why it is both irrational and dangerous to be afraid of terrorism in Western Europe. 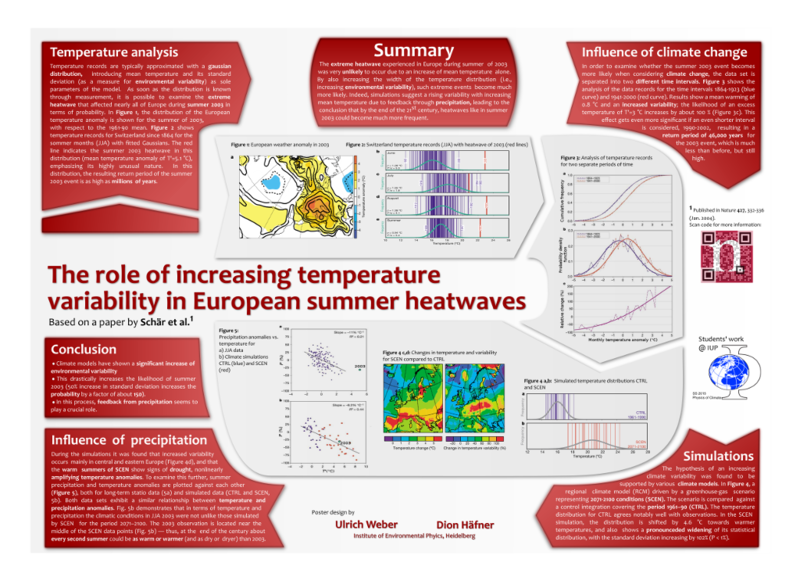 This poster was created during a MSc level physics course on climate at Heidelberg University as final project. We were given a paper (that we are in no way affiliated with) from climate research and told to create a poster that would be well-suited to represent the contents of the paper at a conference. Our goal was to create a poster that stands out in the mass of standard, blocky posters that physicists tend to create. Additionally, we wanted the poster layout to tell a story, so you would not have to read the whole poster to understand what was going on - we wanted the plots and figures and some short summary to convey the most important ideas at a glance.